“A “caregiver” is anyone who provides unpaid care and support at home, in the community or in a care facility to an adult friend or family member who is living with a disability, chronically ill, elderly or palliative. About 85% of people provide care for loved ones at some point in their lives. Some people take care of a relative for a few weeks or months following an acute illness or surgery, while others provide care on a daily-basis for someone with a chronic condition. Family and friend caregivers offer a range of support, from physical care to personal care, emotional and social support, meal planning, transportation, and linking with health and community services. 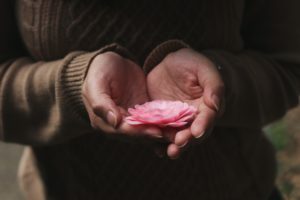 It is very important that as a caregiver you find ways to take care of yourself.It is important for you as caregivers to reach out and connect with other families going through similar situation. For those of you in a hospital setting, reach out and stay connected with those you meet along the way. For those of you living in the community, reach out to your local brain injury support groups and community. If there is none, think about creating a network of support you need. Brain injury affects us all. It is important that you care for yourself and your loved one with a brain injury. The Family Caregivers Network Society has many practical suggestions, resources and supports. 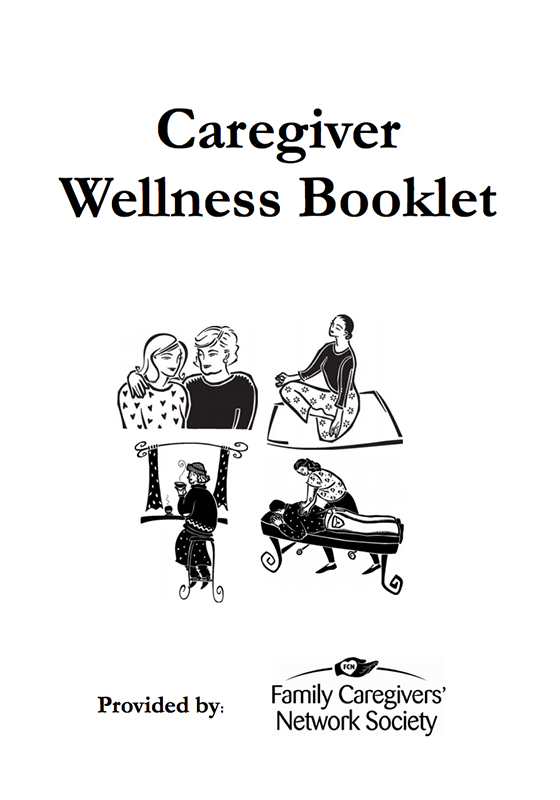 The Caregiver Wellness Booklet they have developed can be used as a personal wellness journal. 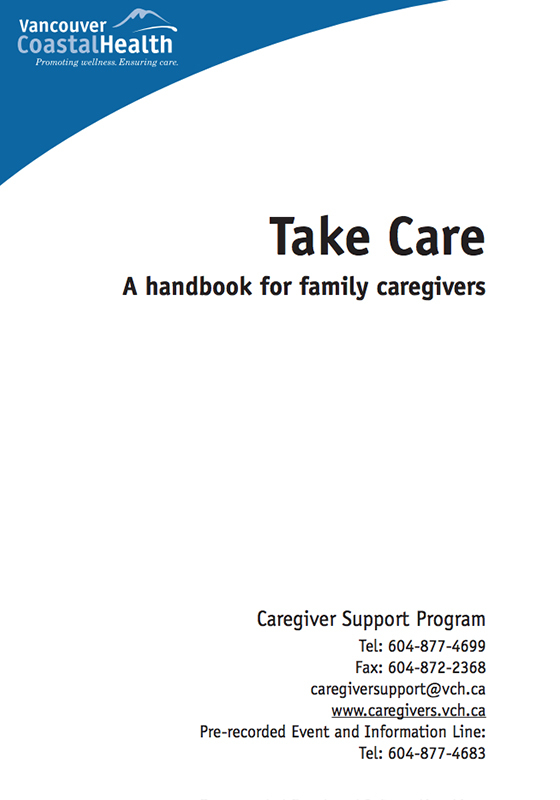 Vancouver Coastal Health has put together Take Care: A Handbook for Family Caregivers. It talks about the problems and rewards that come from caring for an adult with a chronic illness or disability. 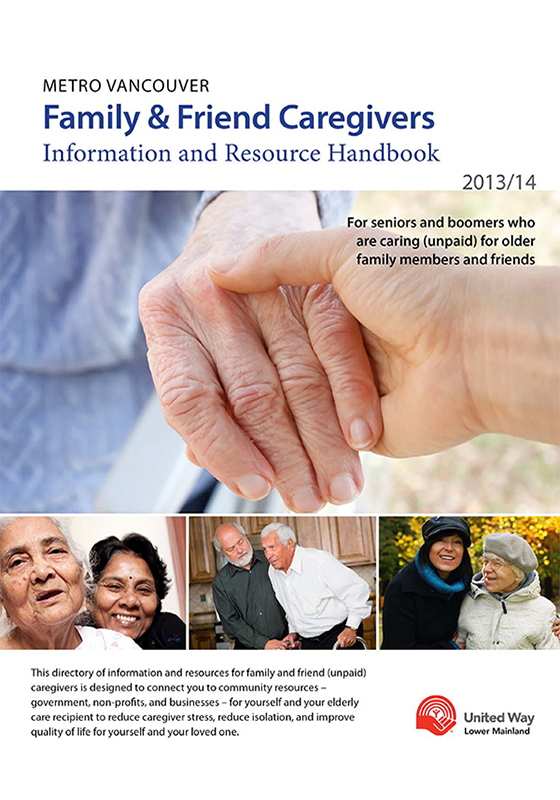 The United Way created Family & Friend Caregivers Information and Resource Handbook. It is a directory of information and resources for unpaid caregivers, designed to connect them to community resources. 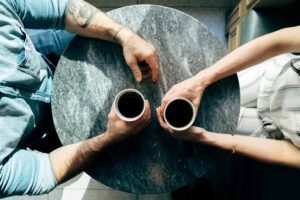 If your loved one has trouble making decisions about their personal affairs then Nidus Personal Planning Resource Centre and Registry gives information and help about representation agreements and other personal planning tools. 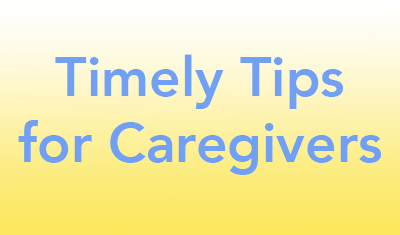 Timely Tips for Caregivers offers advice on caregiving for family members. It also contains a Bill Of Rights for caregivers to refer to in regards to taking care of themselves.